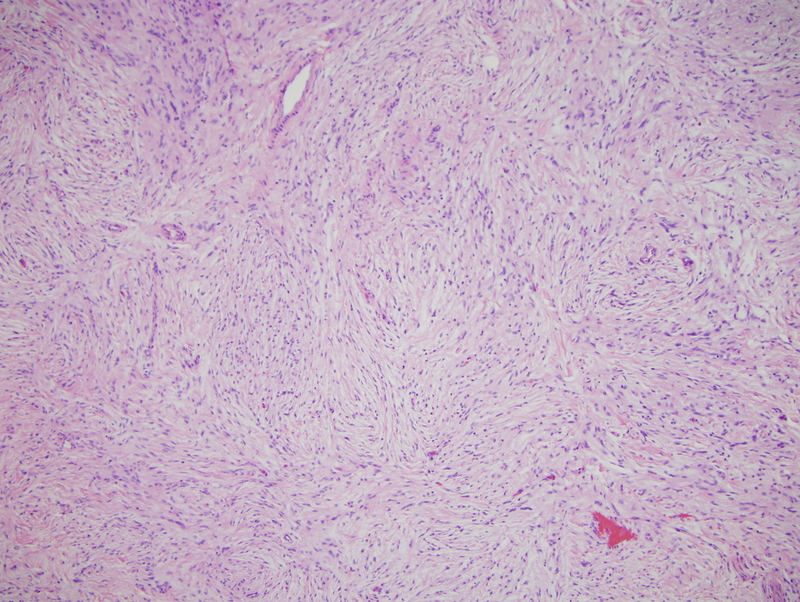 The findings are diagnostic of a benign peripheral nerve sheath tumor. 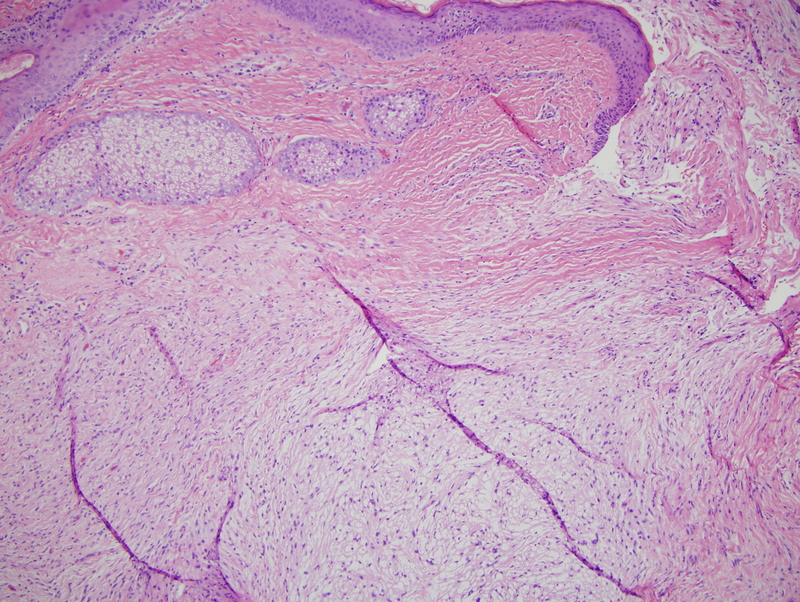 It is a lesion that really shows a hybrid overlapping morphology of a dermal nerve sheath myxoma and a sclerosing perineurioma. 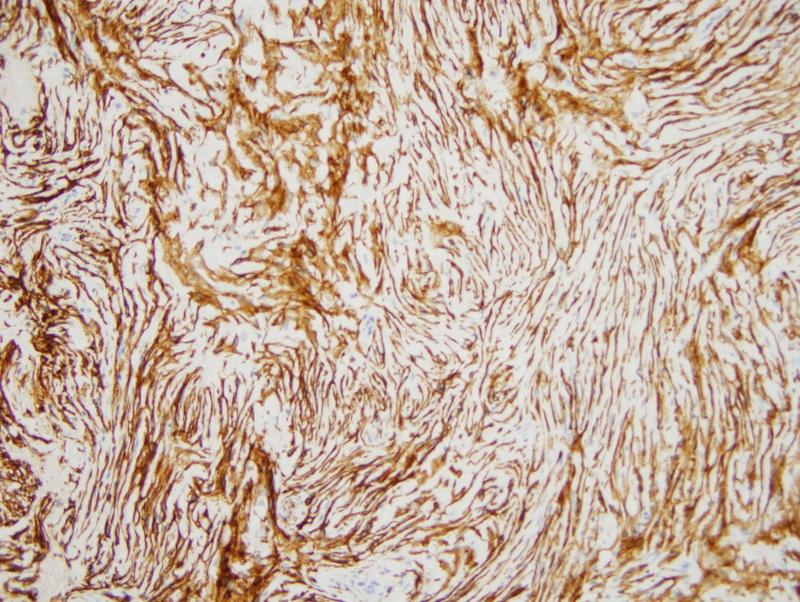 In particular there are areas where the morphology is really quite typical for a nerve sheath myxoma characterized by mucinous lobulated areas containing bland appearing spindled cells extensively positive for S-100 and CD56. 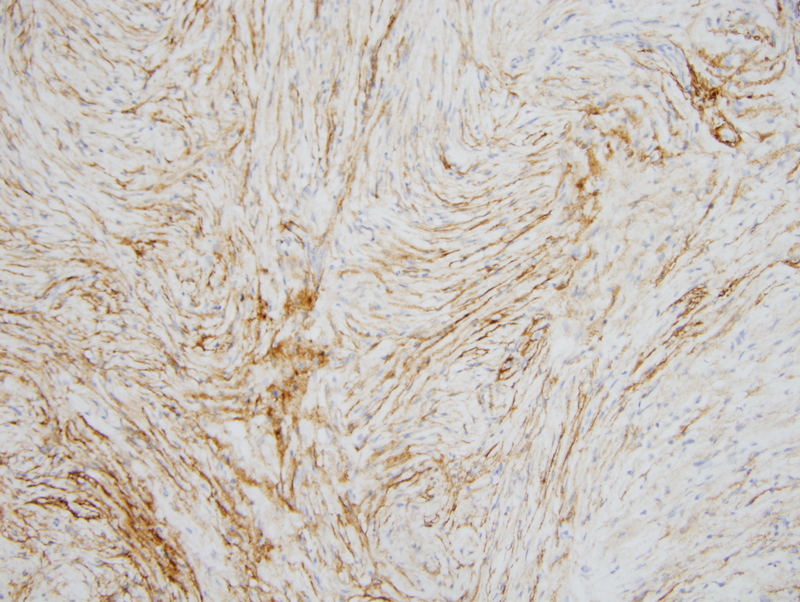 In addition however there is a sclerosing whorled spindled component which although showing S-100 and CD56 staining is also epithelial membrane antigen positive. This aspect of the lesion is reminiscent of a sclerosing perineurioma despite the S-100 and CD56 positivity. 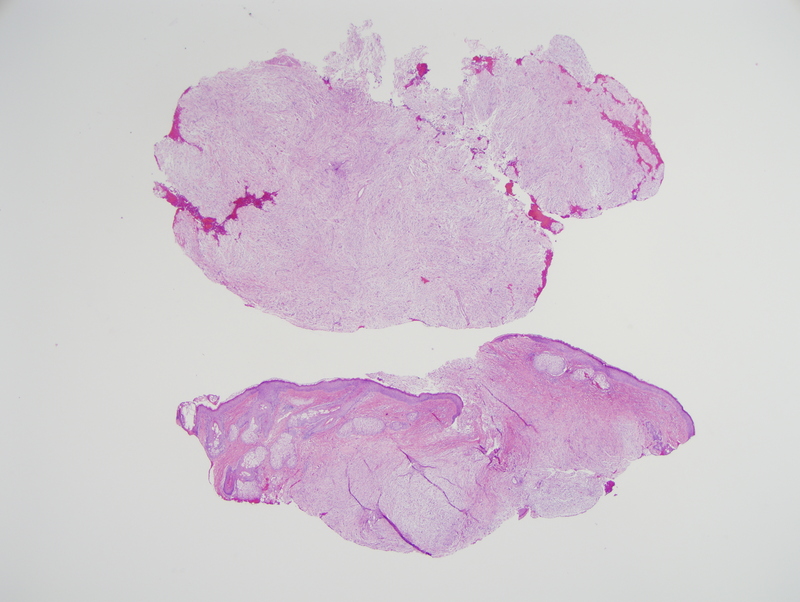 There is certainly significant literature precedent regarding unusual hybrid peripheral nerve sheath tumors falling under the designation of benign cutaneous biphasic hybrid tumor of peripheral nerve sheath derivation. 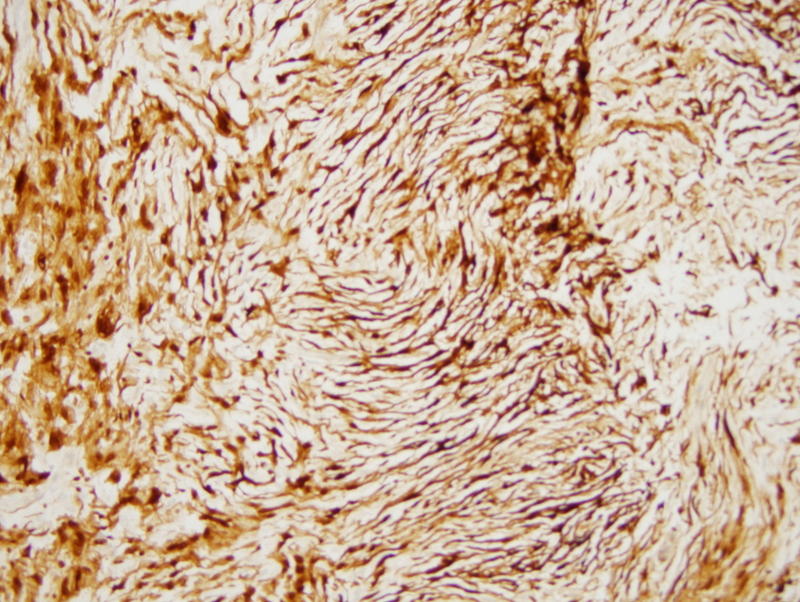 A significant component of the literature precedent as it applies to dermatopathology is in the context of perineurioma and cellular neurothekeoma. Dermal nerve sheath myxomas involve the fingers, ear, fact and less commonly the trunk. Neurothekeomas are often times exhibiting a head and neck localization. 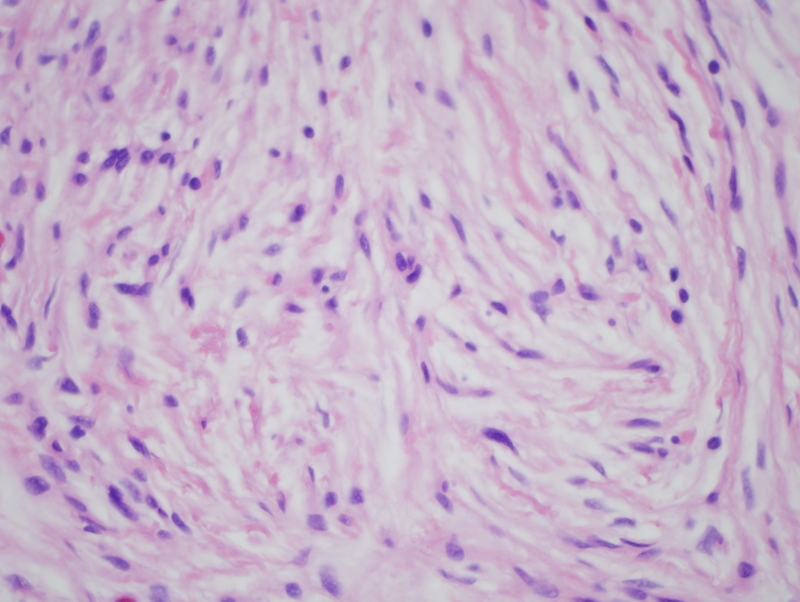 Among those reported in soft tissue are plexiform neurofibromas with perineuriomatous differentiation and hybrid schwannomas and perineuriomas. The most common combinations are 1.schwannoma and perineurioma, 2. neurofibroma and schwannoma and 3. neurofibroma and perineurioma.